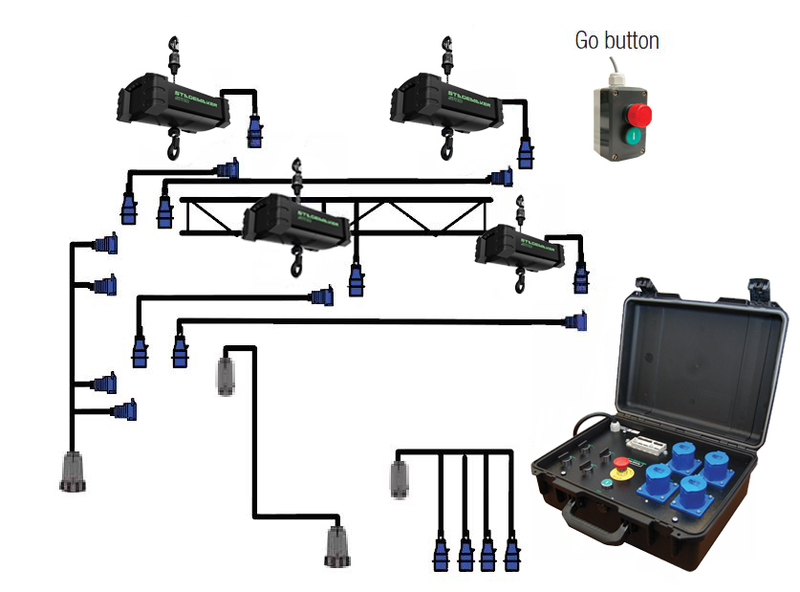 Control multiple hoists individually or together. 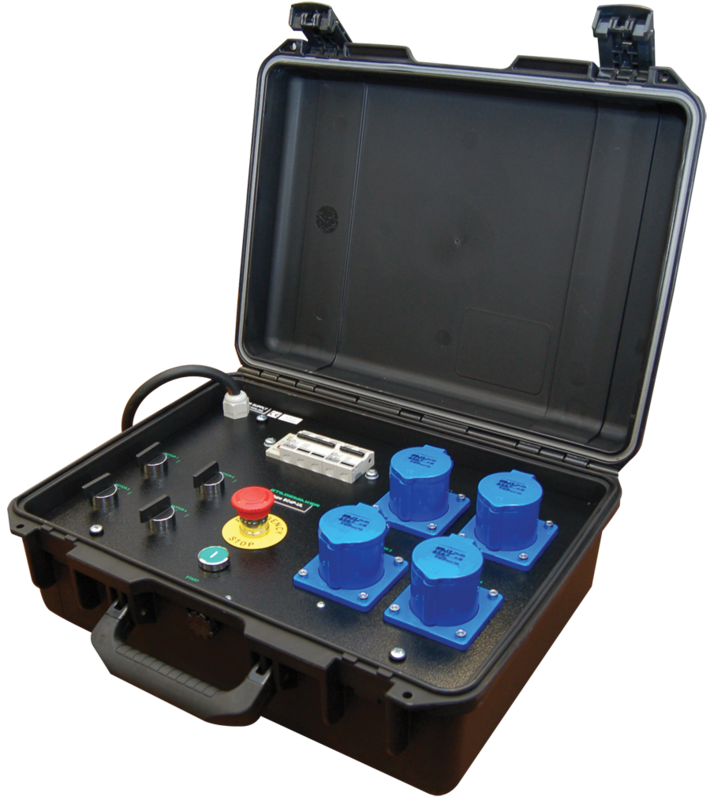 The SC controls are built in to a durable ABS plastic hand case. The control functions are inside the hand case. 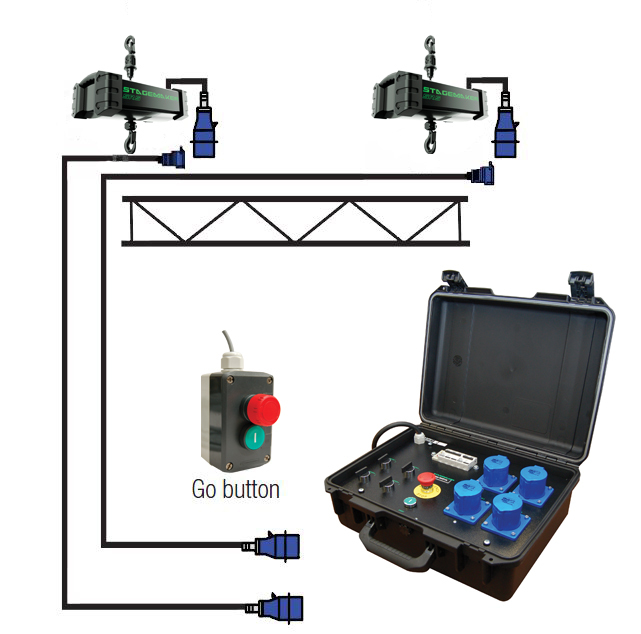 A remote with the GO button (run command) and E-stop is available as an option.